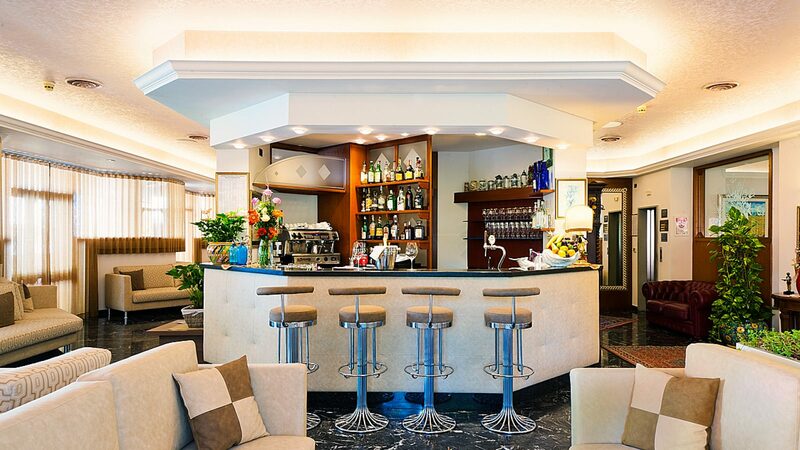 Guests are greeted in an elegant reception opening on a large living area with relaxation room and bar. 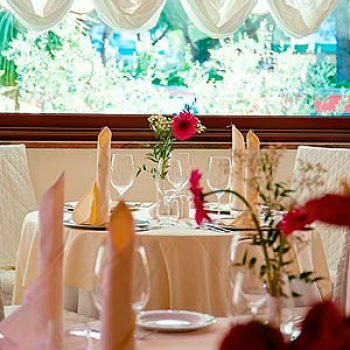 All this provides a large terrace for day-to-day living for moments of rest or evenings for an aperitif or a drink after dinner. 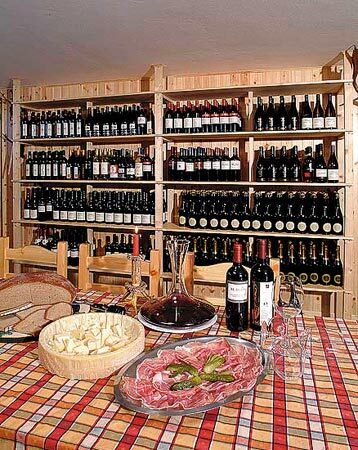 For customers, there is a covered car park. 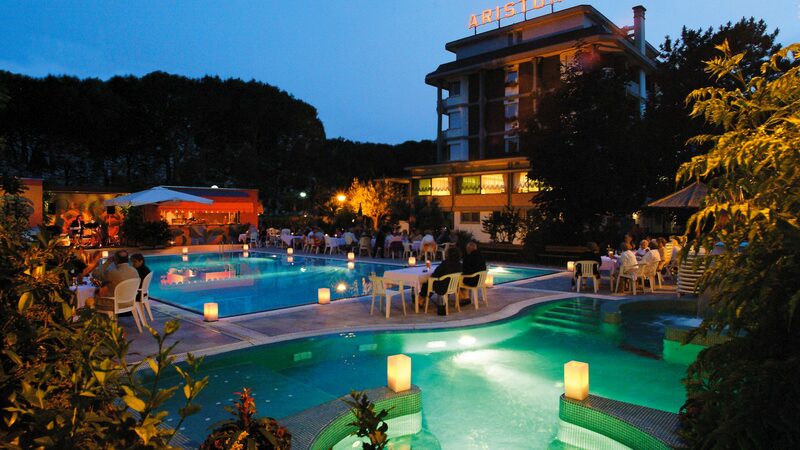 The attention to detail and the hospitality pleasure extend themselves outdoors in the large garden and in the swimming pool area which also become a frame for welcome cocktails and suggestive candlelight evenings where guests can experience the proposals of the outdoor bar. 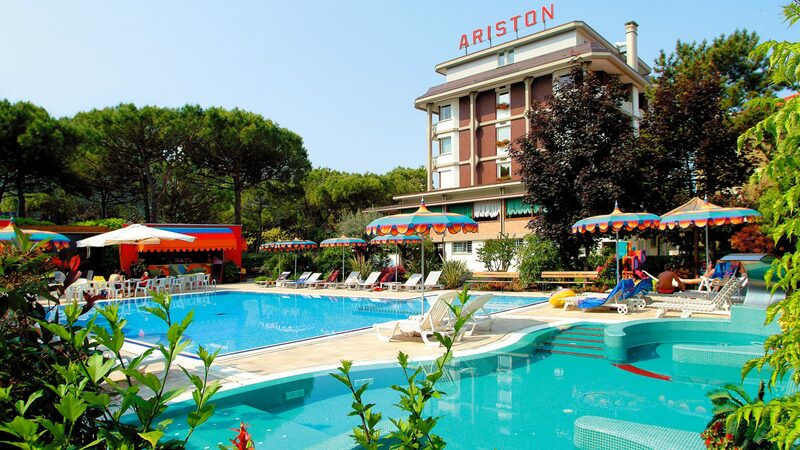 Hotel Ariston is surrounded by greenery, close to the sports centers and has all the amenities: a large garden, swimming pools for adults and children suitable for sports and fun swim, whirlpool bath and waterfall. 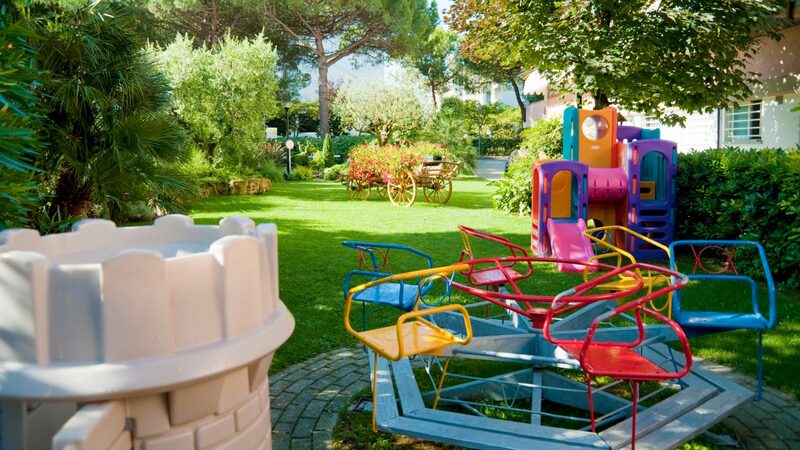 Among the services offered to guests there are also bicycles with children’s seats suitable for trips on the numerous cycling trails in Bibione in the inland to discover. 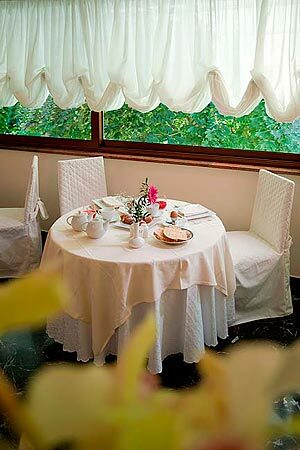 The rooms have been every times furnished to create a perfect blend of elegance and comfort. 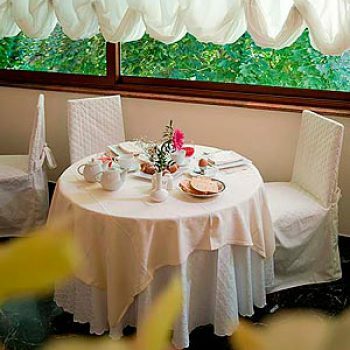 They are complete with every service: telephone, safe, satellite TV, fridge, air conditioning, beach towels daily service, Wi-Fi connection also in all other hotel's spaces. 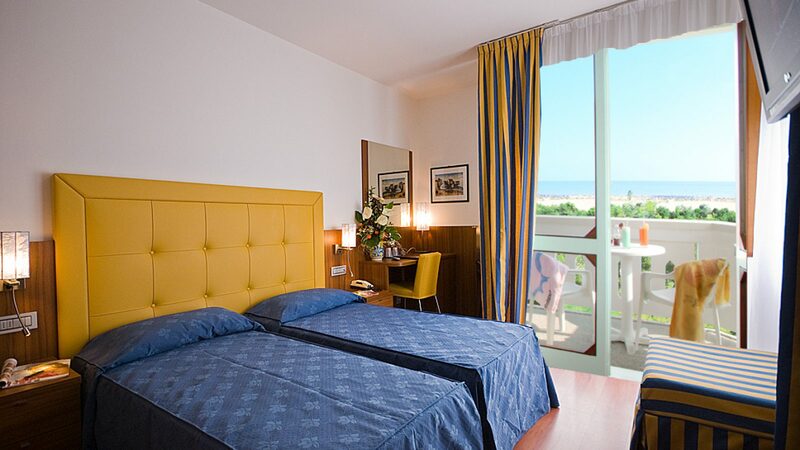 All rooms have a terrace and some of them have a wonderful view of the beach. 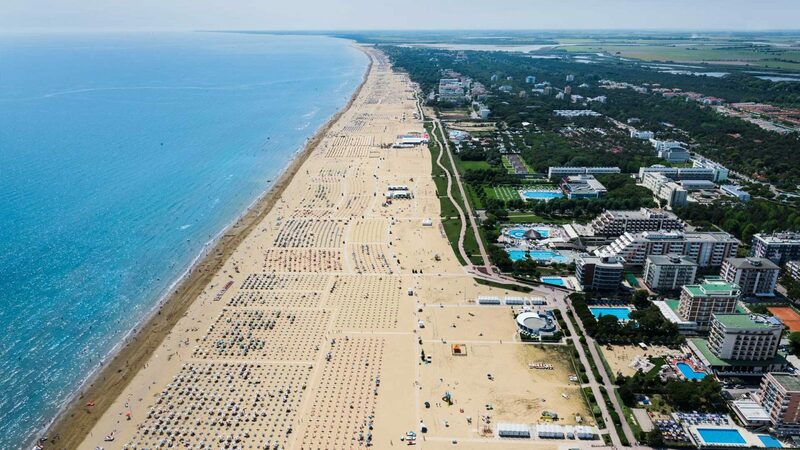 To look at the horizon is a nice way to finisch an afternoon of sea with a relaxing moment. 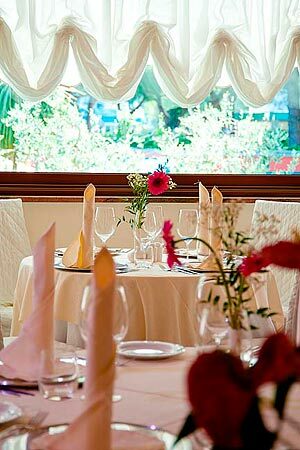 A spacious and elegant dining room overlooks the garden and swimming pools, where sumptuous breakfasts, lunches and dinners are served. 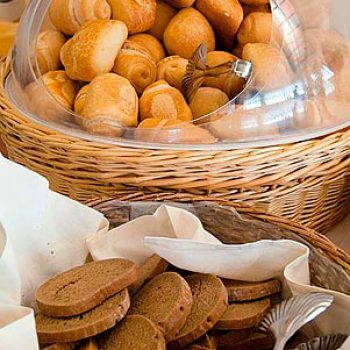 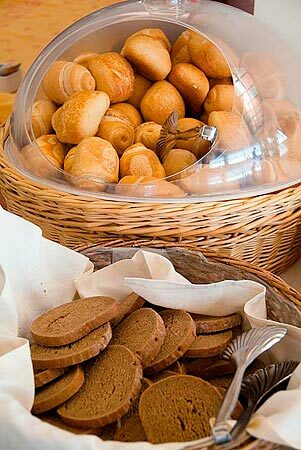 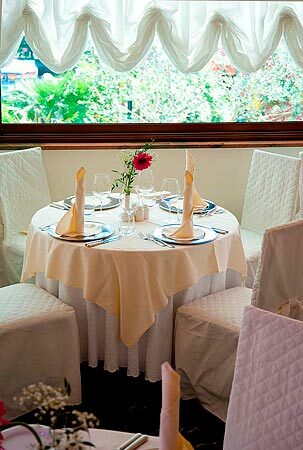 Excellent cuisine offers menus with different dishes every day prepared with expertise and first-class ingredients. 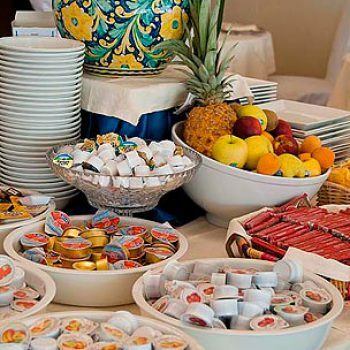 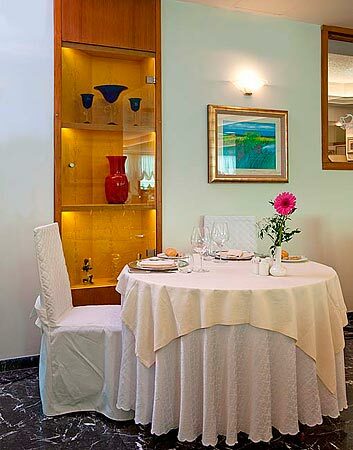 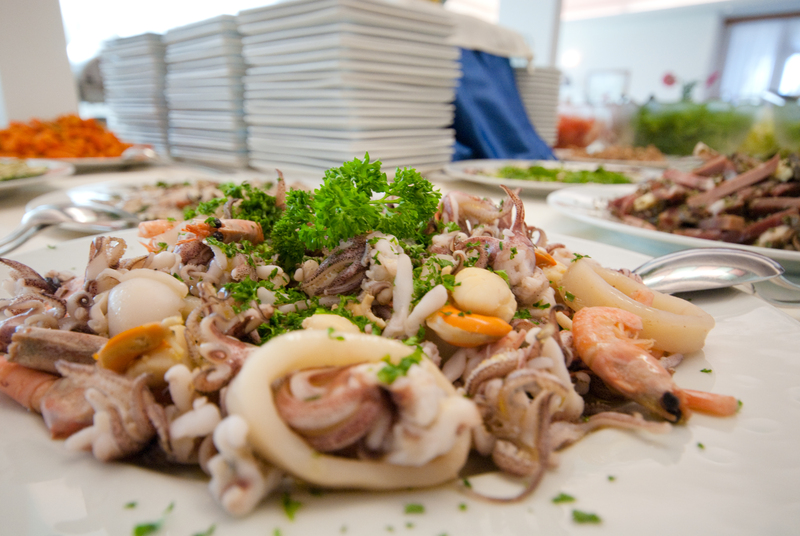 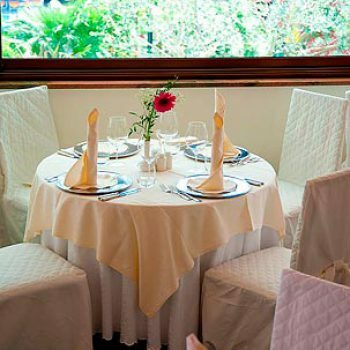 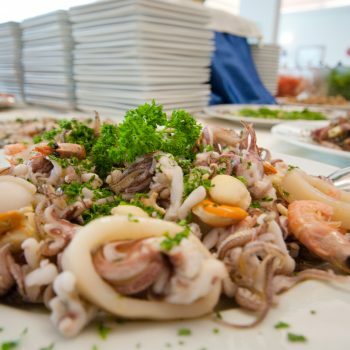 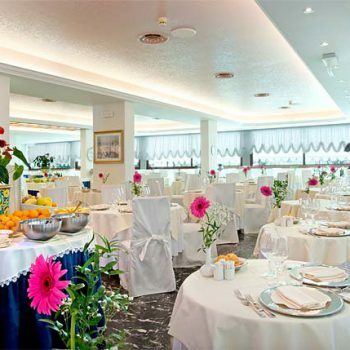 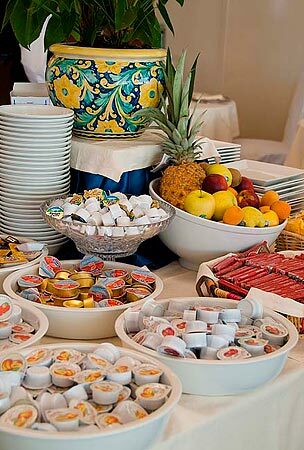 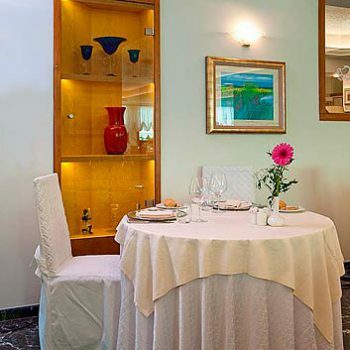 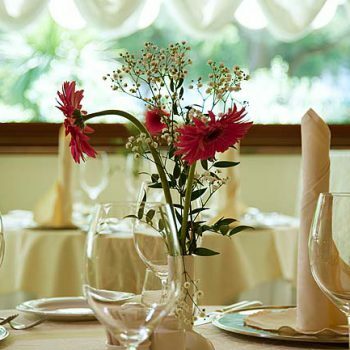 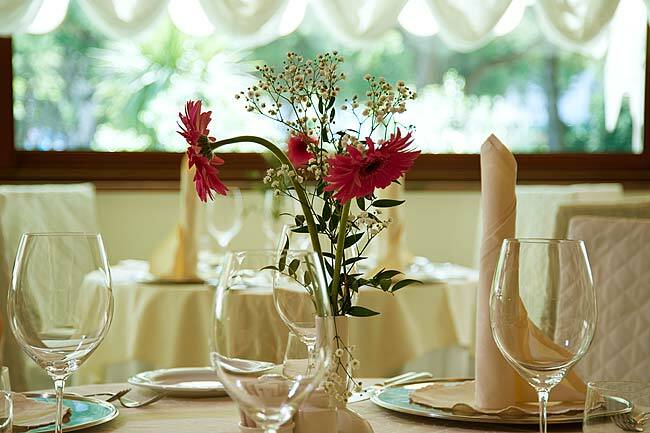 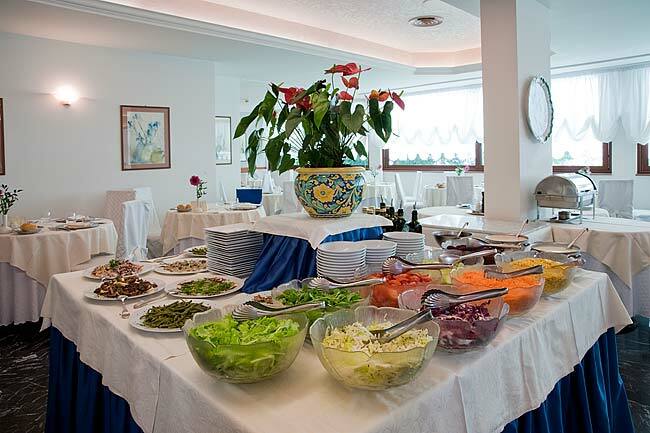 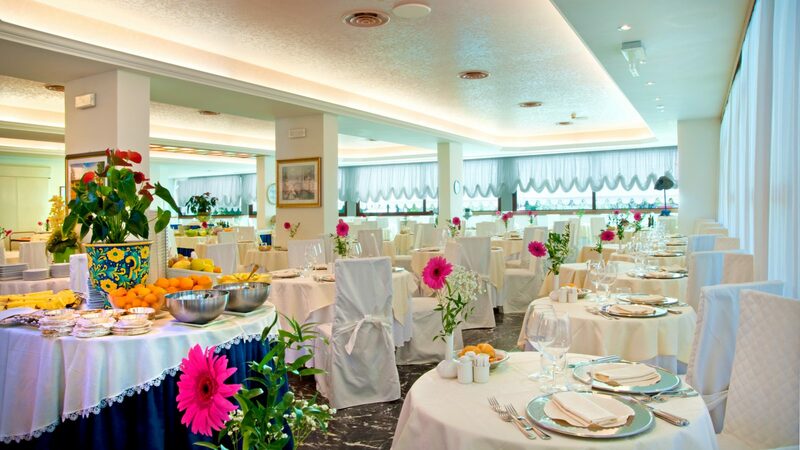 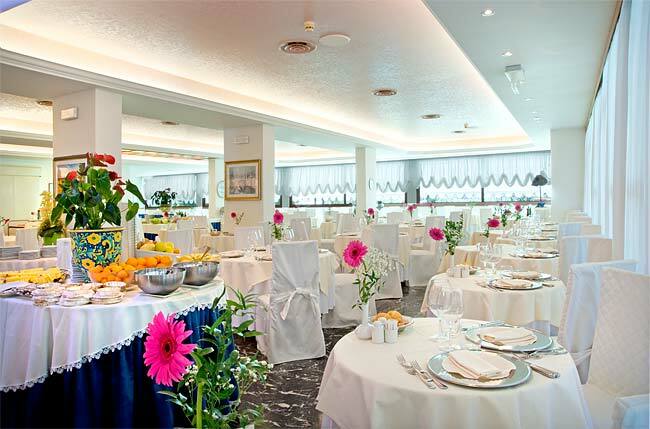 Our menu offers Italian and traditional Veneto dishes as well as international dishes, with different gastronomic specialities for our guests every day. 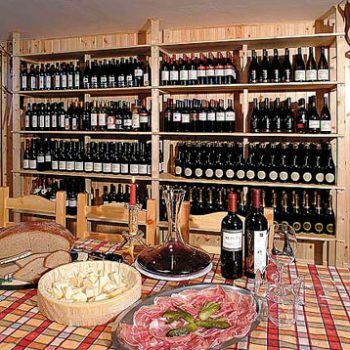 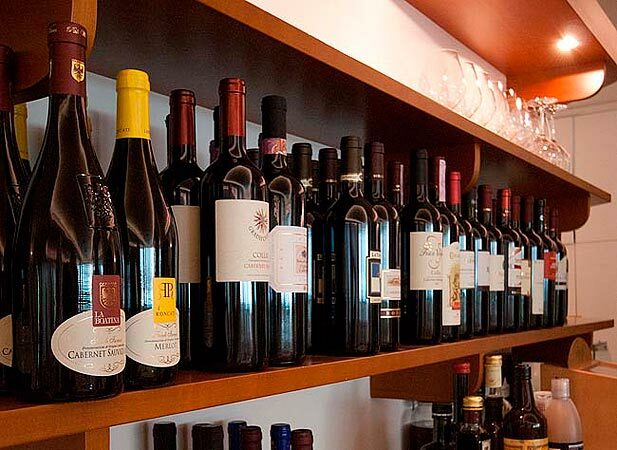 An additional feature of the hotel is its well-stocked wine cellar, which provides a wide choice of Italian and foreign wines. 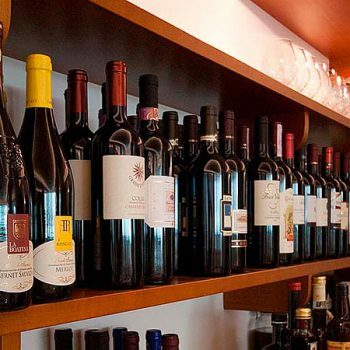 Our wine cellar can also be booked for an aperitif or for a more intimate and exclusive after-dinner drink so you can taste a good wine recommended by our sommelier. 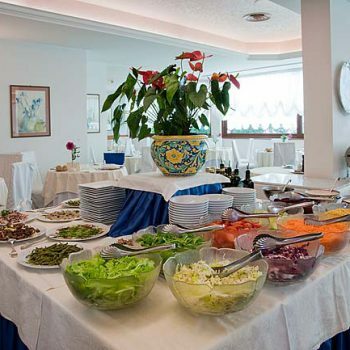 For those who prefer half-board, the bar next to the swimming pool provides tasty salads and quick hot and cold snacks for lunch.